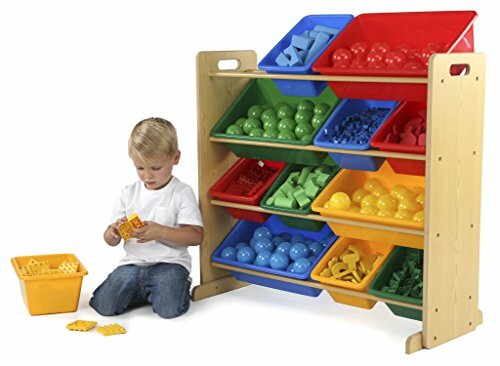 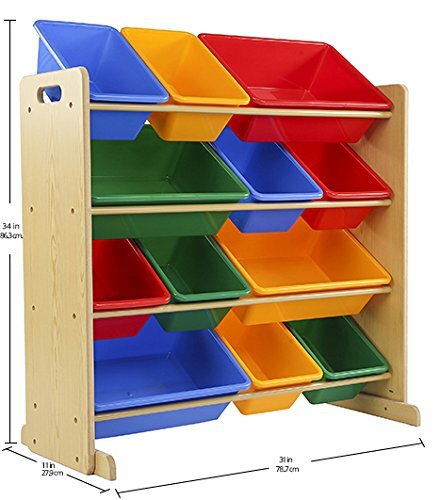 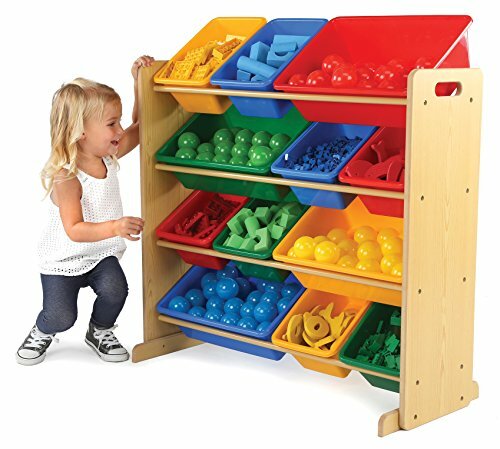 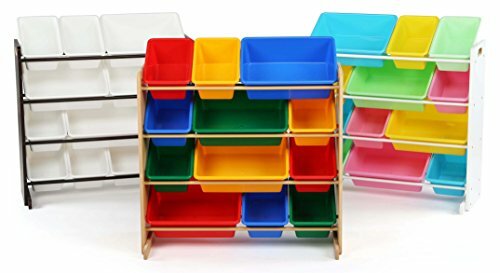 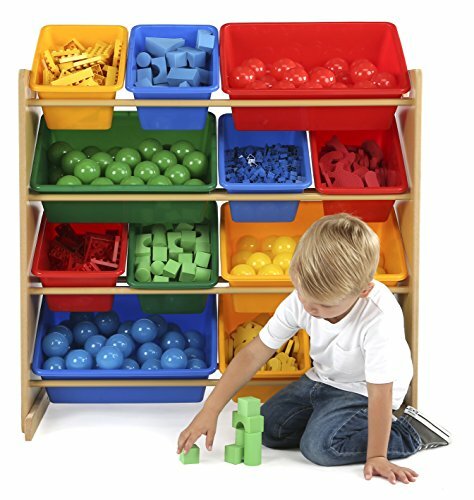 This space-saving Tot Tutors Kids Toy Storage Organizer with 12 Plastic Bins stores lots of children’s toys in easy-to-see, easy-to-access plastic bins. 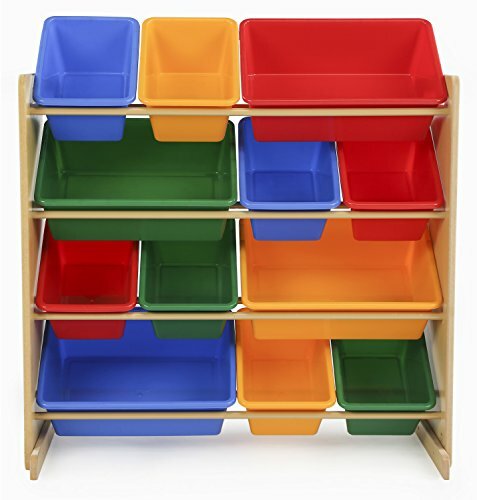 The 8 standard and 4 large easy access storage containers are removable, making it fun for kids to take out toys, books, and games for playtime and quick to clean up after. 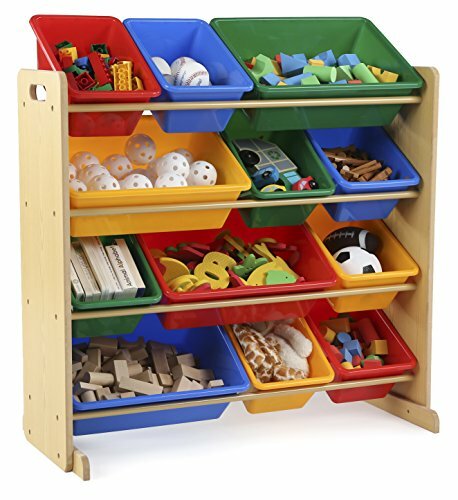 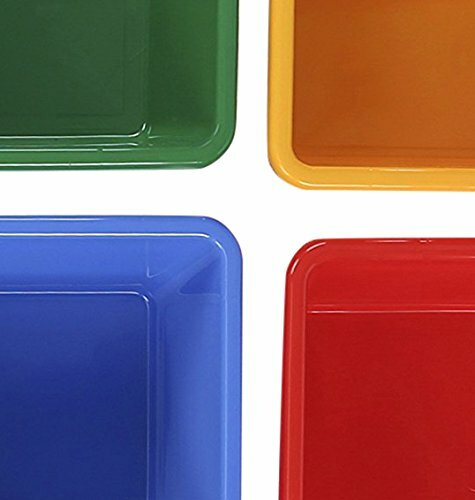 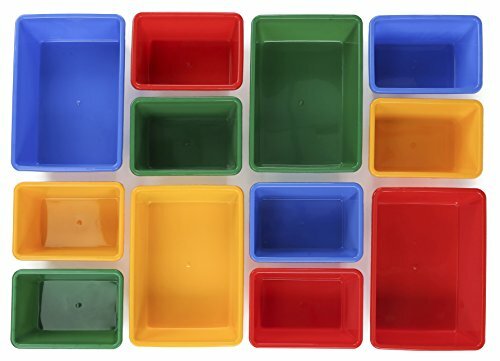 This toy storage box alternative helps keep your little one’s room clean while at the same time the bins can teach color identification as well as sorting and cognitive skills.